Find out what we’ll be showing at the Modbo soon. Check out artists, plan your night in Colorado Springs, and be the first in line to buy the best pieces! The Modbo presents an eclectic night of modern jazz with Sträs, comprised of phenomenally talented Denver area musicians Paul Riola, Joshua Trinidad, Kim Stone, Ian Argys, and Michel Stahli. Friday, April 26th, doors at 7:00, show at 7:30 pm. Just a $7-10 donation. The Modbo is located in the Arts Alley in downtown Colorado Springs at 17C E. Bijou. Find the stretch of Bijou that is between Cascade and Tejon, and go south down the alley. Street parking is available, but The Modbo recommends the lot on Cascade just north of Bijou, which is only $1 after 3 pm. The Modbo can be reached at themodbo@gmail.com, themodbo.com, or 633-4240. 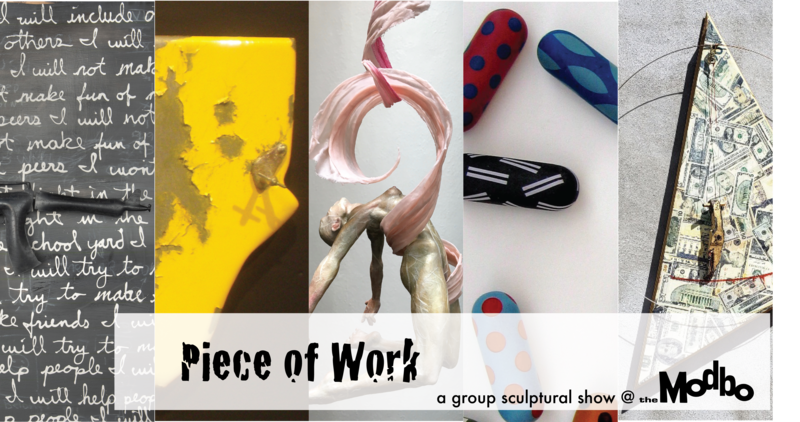 The Modbo presents May’s First Friday: Piece of Work, a group sculptural show featuring: Larry Kledzik, Sean O’Meallie, Wendy Mike, Daniel Romano, and Phil Vallejo. The opening reception is from 5:00 pm until midnight on Friday, May 3rd. The show runs through Friday, May 31st. In addition to the opening reception, the gallery is open on Friday evenings from 4-7 pm or by appointment. The Modbo is located in the Arts Alley in downtown Colorado Springs at 17C E. Bijou. Find the stretch of Bijou that is between Cascade and Tejon, and go south down the alley. Street parking is available, but The Modbo recommends the lot on Cascade just north of Bijou, which is only $1 after 3 pm. The Modbo can be reached at themodbo@gmail.com, themodbo.com, or 633-4240. Larry Kledzik studied at the Chicago Academy of Fine Art. He started painting in 1963 in a surrealistic vein which has never entirely abandoned its influence, even when he moved to Colorado in 1973 to paint landscapes. It just went underground. In the 1990s, he started making installation art. This format enabled an integration of the aesthetic and philosophical material he had been digesting over this span of time, resulting in a unified body of work continuing into the present and reflected in these current pieces. Sean O’Meallie has a background in higher education and toy invention, but is known for creating eye-catching thought provoking painted wood sculptures. His sculptures are held in numerous public, private and museum collections, and have been toured in the U.S. and Europe. His work is included in Launching the Imagination, a university teaching text on art and design. Cowboy Pajamas, a 20’ painted bronze sculpture of an abstracted cowboy with his guns drawn is located in downtown Denver, and he is the creator of The Manitou Chair Project. Additional public commissions include Balloon Man Running, a 32’ tall permanent sculpture of a running balloon figure for the RTD Central Park Station in Denver, CO., which was named Best New Public Artwork of 2017 by Denver’s Westword newspaper. O’Meallie’s work has won numerous awards and recognitions. Wendy Mike is a Colorado Springs artist who lived and trained in San Francisco and New York City. She founded FutureSelf: Youth Discovering Success Through Art, a not-for-profit providing youth at-risk with life changing workshops and programs, and was the executive director for eight years. Although she continues to facilitate arts-based organizational trainings, most of her time is spent in her downtown studio creating figurative sculpture for installations and exhibits. Her recent installation, Ragnarök Anthropocene, with co-artist De Lane Bredvik at the Colorado Springs Fine Art Center at Colorado College, won the Pikes Peak Arts Council’s Best Gallery Exhibit in 2017. Daniel Romano is an artist working with formed metal and painting. He began developing metalworking techniques in 2000, working on realistic forms. Phil Vallejo, a Colorado Springs native born 1959, is a painter, sculptor and mural artist who was an early participant in the Pueblo Levee Mural Project. A student of Floyd Tunson, Bill Burgess and Nick Latka, he graduated from Palmer High & studied Fine Arts for two years at CSU Pueblo, where his outdoor sculpture “3 Fold Education” is on permanent exhibit. Phil’s emotionally charged abstract paintings & sculptures have been exhibited at the Pirate & Core galleries in Denver as well as the Modbo, Cottonwood, Bridge & Kreuser galleries in Colorado Springs. He has numerous works in private collections throughout the United States & Mexico. “Attrition” is part of a series of individual works under the heading “FAULT” which is a sub series of my larger installational series “Diet.” These are individual pieces which can be interspaced between the installations as they occur and focus on some core aspect of the larger picture being addressed in the installations. This format first appeared in the mid 1990s in my installation “RATS” and were designated “Wall Monstrosities” after their initial title. There were only a few pieces I considered to be true “Wall Monstrosities” but the formal aspect of a sculptural back board with protruding elements has continued as a motif into the present. My second piece, “Number Two,” takes the form of a “sculpture in the round.” Most of my standing sculptures are placed against a wall, but a number of them take this form also. “Number Two” is what I refer to as a “Closed Conceptual Circle,” a new term I have coined specifically for this piece. “Attrition” and “Number Two” share a subtle affinity that I am still in the process of assessing in relation to the rest of my work. The similarities between sausages and smiles blows his mind, he said. This work is about the semiotics of spatial occupation and recognition of opportunity, one knows. He seems to be obsessed with sausages and smiles. One knows his work is usually painted wood; that it takes time to do; blah, blah, blah… trees, and all that. Why he would affix things to the ceiling is puzzling, but it is fresh. One thinks the word “decor” may be referencing the decorating of things, like cupcakes, and now ceilings. One knows a lot of places of worship have decorated ceilings. He’s said he sees dichotomy in everything, but how that relates to this work is not clear to this writer. His work is so touchable. It makes one smile a couple of ways. Impish. Wendy’s participation in various art forms, (dance, singing and acting as well as visual art) inspires a fascination with the whole human form: the shapes of muscles, bones, the quality of skin, the body in motion and as the container of the soul. Traditional sculptural materials, such as bronze or stone, seem too heavy. Lately she has been sculpting with recycled fabric and hand-made paper, creating forms that are as weightless as possible, yet still capture the essence of the human vessel. What if art had the capacity to bypass the intellect and go straight to the heart? Would new ways of thinking and feeling emerge? Could transformation be possible? This potential urges her on. This small body of work represents Phil’s angst about the current administration and how they’re destroying democracy & dividing the nation. He hopes for change in 2020. The Modbo is delighted to present a rare night of live music with My Name is Harriett and Swelter and Burn on Friday, March 29th. Doors at 7:30, show at 8. $7 suggested donation. Swelter and Burn is an R-rated comedic piano duet team– they sing about sanctimonious yogis and sexting, and they promise they are very, very funny. They’ll be opening for My Name is Harriett– Harriett’s soaring vocals and exquisite violin playing and looping will leave you aching for more. The Modbo is a small art gallery and events space located in the Arts Alley in downtown Colorado Springs at 17C E. Bijou. Find the stretch of Bijou that is between Cascade and Tejon, and go south down the alley. Street parking is available, but The Modbo recommends the lot on Cascade just north of Bijou, which is only $1 after 3 pm. The Modbo can be reached at themodbo@gmail.com, themodbo.com, or 633-4240. Harriett Landrum has been playing the violin for the last twenty-eight years. She has enjoyed teaching music privately to over twenty students for twelve years. Notably, she has made a modest career as a singer and songstress under the moniker “My Name Is Harriett”. 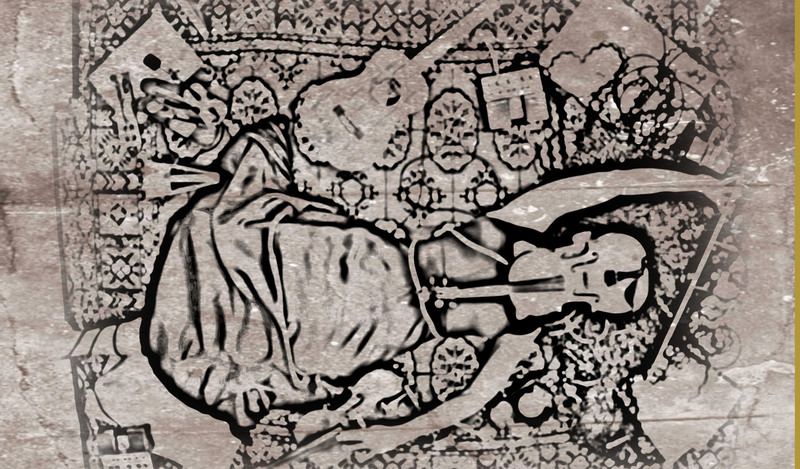 She weaves her interest with the English language, having her heart broken, and her ability to play the violin into songs. Songs that have made young men tear up. Songs that have helped ladies move on. Songs that have given voice to issues that she herself needed to purge. Harriett continues to improve, explore and indulge her affectivity for prose and music. 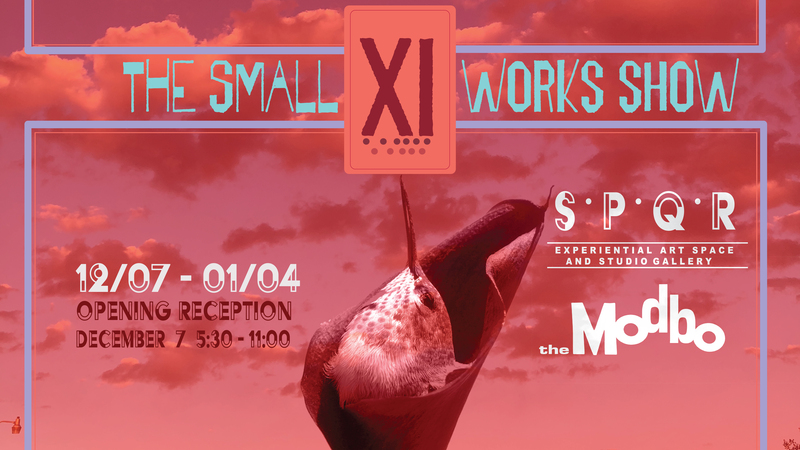 The Modbo presents April’s First Friday: Monstro, Monstras, Monstrat by Nethery Wylie. The opening reception is from 5:00 pm until midnight on Friday, April 5th. The show runs through Friday, April 26th. There will be a free artist’s talk at 5 pm on Friday, April 26th. The Modbo is located in the Arts Alley in downtown Colorado Springs at 17C E. Bijou. Find the stretch of Bijou that is between Cascade and Tejon, and go south down the alley. Street parking is available, but The Modbo recommends the lot on Cascade just north of Bijou, which is only $1 after 3 pm. The Modbo can be reached at themodbo@gmail.com, themodbo.com, or 633-4240. St. Francis—Il Povarello—he who sought to “follow barefoot the barefoot Christ”—sells for about $87 at better garden stores in the US. In Monstro, Mostras, Monstrat, Nethery Wylie explores iconic images that are both durable yet ironically changeable. Francis of Assisi’s personal turning point was embracing the leper who disgusted him. Clare of Assisi wished to follow Francis into the world but had to accept enclosure in a nunnery as the price of founding the Order of the Poor Clares. And Circe the Witch? Is she the ultimate conniving female malevolence? Or just a girl. Nethery came to art practice after a lifetime of trying to make words communicate mental pictures. Now she struggles with the opposite: making visual art out of ideas gathered from the many books and essays layered in her mind. She works predominantly in oil or mixed media painting but often transfers and layers images onto fabrics, glass and other materials. She completed an MFA in 2014. She also holds an MA in History and is a professional librarian. Nethery maintains a studio Old Midland School in Colorado Springs. 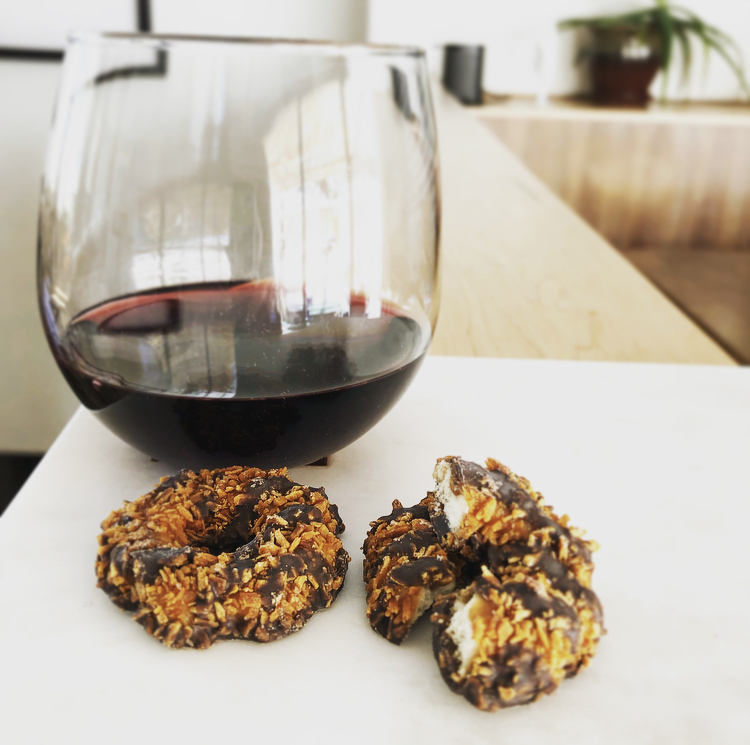 Have you ever wondered exactly what wine would go best with your favorite Girl Scout cookies, as you attempt to have enough self-control not to plow through the whole box? Well! You’re in luck! The Modbo is thrilled to present a very special and not-so-stuffy wine tasting by talented local sommelier Michaela Hightower. Join us at 3 pm on Sunday, April 7th, for a 90-minute wine and Girl Scout Cookie pairing extravaganza. Your $30 will provide 4 tastes of delicious dry wines, each expertly paired with a Girl Scout Cookie. Michaela will lead you through the techniques of wine tasting as well as share her knowledge of the wines she has chosen, so you won’t just leave with a sugar high–you’ll leave with some impressive new wine facts! Space is limited to 20 seats; advanced paid reservations are required. Register here! The Modbo is delighted to host a very special edition of Queer Open Mic featuring Kaleena Kovach who will be releasing her zine, “millennial break-up haiku.” 7 pm on Friday, February 22nd. Free. The Modbo is located in the Arts Alley in downtown Colorado Springs at 17C E. Bijou. Find the stretch of Bijou that is between Cascade and Tejon, and go south down the alley. Street parking is available, but The Modbo recommends the lot on Cascade just north of Bijou, which is only $1 after 3 pm. The Modbo can be reached at themodbo@gmail.com, themodbo.com, or 633-4240. Kaleena Kovach has found her way back to poetry after a long time away. She attended the CU Boulder where she majored in Creative Writing. Her senior thesis, ashes are just fire ghosts, was a collection of documentary poems that explored the history of fire and utilized text as a visual medium. An active member of the arts community, Kaleena is on the board for Hear, Here! Poetry and regularly reads at local events. When she is not writing poems, she likes to hike, ride her scooter, bake, play ukulele, and hang out with her cats. She works at a nonprofit and plans to pursue a Masters in Social work beginning in the fall 2019. 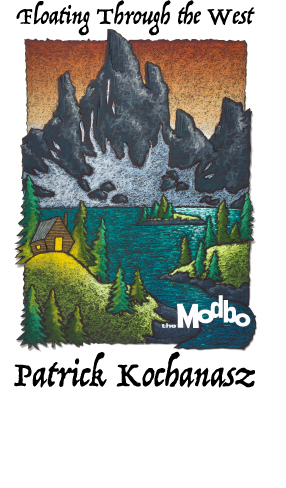 The Modbo presents March’s First Friday: “Floating Through the West” by Patrick Kochanasz. The opening reception is from 5:00 pm until midnight on Friday, March 1st. The show runs through Friday, March 29th. The Modbo is located in the Arts Alley in downtown Colorado Springs at 17C E. Bijou. Find the stretch of Bijou that is between Cascade and Tejon, and go south down the alley. Street parking is available, but The Modbo recommends the lot on Cascade just north of Bijou, which is only $1 after 3 pm. The Modbo can be reached at themodbo@gmail.com, themodbo.com, or 633-4240. Patrick Kochanasz is a native of Eastern Pennsylvania, where he studied at The Baum School of Art for several years. Captivated by the luminosity and tactile nature of soft pastels, he began studying the medium earnestly in 2004. He moved to Colorado Springs in 2011 and quickly fell under the Rocky Mountains’ beautiful spell. Kochanasz is available for private commissions and gallery collection proposals. “Floating Through the West” merges both realistic and dreamlike elements, to create a whimsical, capricious, “floating” interpretation of nature. Kochanasz employs a number of distinct techniques in capturing this vision, including: the utilization of black paper, unusual edge cuts, the omission of blending tools, a textured appearance, as well as the incorporation of hard black lines around most elements within the frame. His landscapes are largely inspired by places he’s lived and explored- including Pennsylvania, Vermont and Colorado. Kochanasz strives to evoke the viewer’s sentiment of “I want to be there,” a sense of spatial desire. For the artist, the process of producing art is a very inward and grounding experience. His imaginative search for peaceful seclusion often manifests itself as an isolated cabin nestled among an idyllic land. February’s First Friday at The Modbo: Birthday Suit by Kelly Gilleran! The Modbo presents February’s First Friday: “Birthday Suit” by Kelly Gilleran. The opening reception is from 5:00 pm until midnight on Friday, February 1st. The show runs through Friday, February 22nd. The Modbo is located in the Arts Alley in downtown Colorado Springs at 17C E. Bijou. Find the stretch of Bijou that is between Cascade and Tejon, and go south down the alley. Street parking is available, but The Modbo recommends the lot on Cascade just north of Bijou, which is only $1 after 3 pm. The Modbo can be reached at themodbo@gmail.com, themodbo.com, or 633-4240. 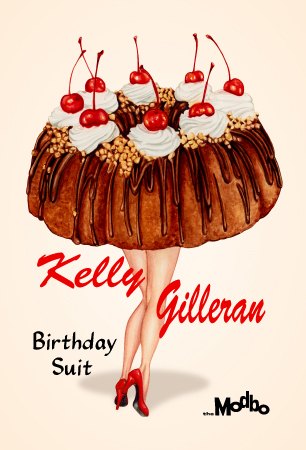 Kelly Gilleran’s new body of work, “Birthday Suit” focuses on vintage inspired food and pin-ups. 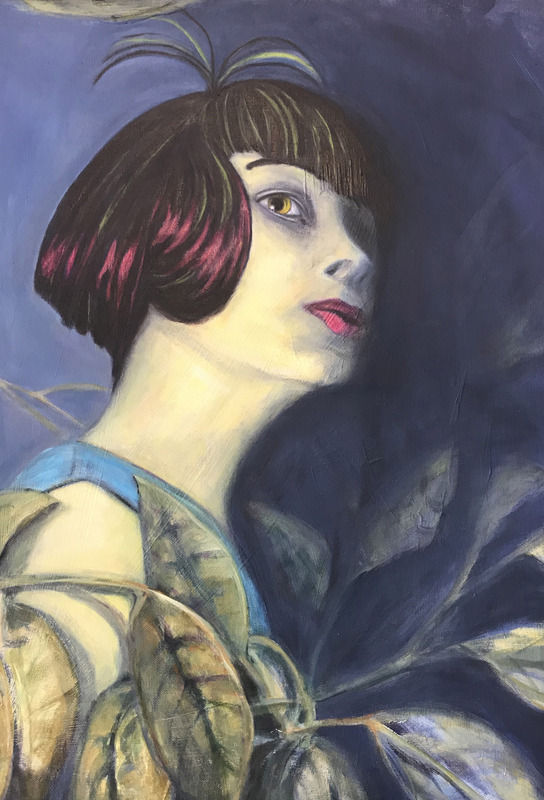 She is heavily influenced by mid-century advertising illustrations, and her work seeks to revitalize forgotten imagery with deep reverence for traditional media practice and techniques. Both vibrant and humorous, her work plays with a retro-kitsch aesthetic. Gilleran is a Colorado Springs painter, focusing on traditional media illustrations adapted digitally for product and surface pattern applications. Kelly grew up in Connecticut and relocated to Colorado after receiving a BA in Art & Design with a double-concentration in painting and illustration. Gilleran has exhibited her work in Connecticut, Colorado, Massachusetts, California, New York and Melbourne, Australia, and sells online to an international audience through various Print-on-Demand websites. Kelly has recently completed various projects for Save Ferris, Ticklebelly, and Safeway. The galleries are located in the Arts Alley in downtown Colorado Springs at 17B and 17C E. Bijou. Find the stretch of Bijou that is between Cascade and Tejon, and go south down the alley. Street parking is available, but The Modbo recommends the lot on Cascade just north of Bijou, which is only a $1 after 3 pm. The Modbo can be reached at themodbo@gmail.com, themodbo.com, or 633-4240. Two performances, one at 7 and one at 9:30 pm at The Modbo, 17C East Bijou, 80903. $15 strongly suggested donation. 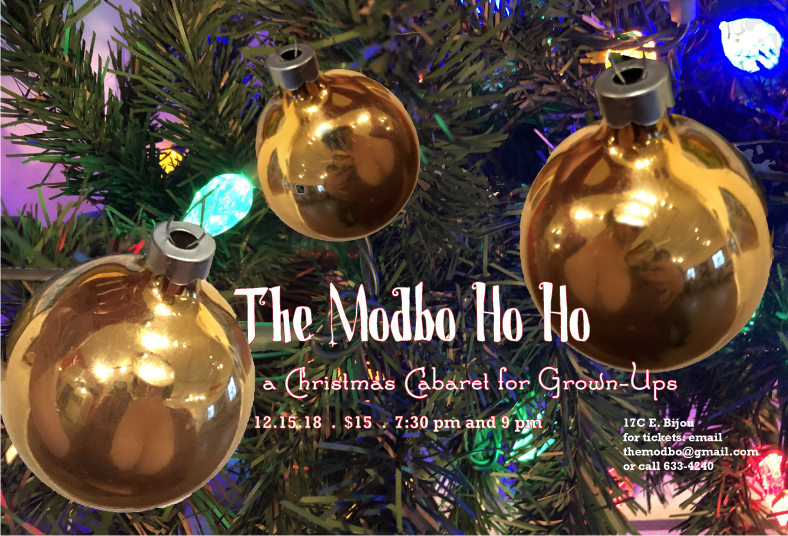 Seating is limited, so reserve your tickets by emailing themodbo@gmail.com or by calling 633-4240. Adults only please. The Modbo is located in the Arts Alley in downtown Colorado Springs at 17C E. Bijou. Find the stretch of Bijou that is between Cascade and Tejon, and go south down the alley. Street parking is available, but The Modbo recommends the lot on Cascade just north of Bijou, which is only $1 after 3 pm or on weekends. The Modbo can be reached at themodbo@gmail.com, themodbo.com, or 633-4240.